The IRA convention includes a dynamic "Poetry Olio" poetry performance event hosted by poets Michael Salinger and Sara Holbrook. This was my first time to attend (since I usually attend the ALA conference and not the IRA conference) and it was a treat. It's somewhat informal with published poets reading/reciting their works along with audience members who volunteer to read or recite their own poetry or other favorite poems. Here are just a few of the very short videos I made of poets performing. Allan Wolf offers a hilarious rendition of a Gelett Burgess poem that all the teachers in the audience could particularly relate to. April Halprin Wayland reads her tender puppy poem, "Animal Rescue." Sara assists David Harrison with a paired reading of one of his clever, tongue twister-y poems. Isn't that fun? I'm so glad that IRA values poetry and includes this energetic session. I hope they continue this tradition. Thanks to Michael and Sara for all their efforts at proposing, organizing, and moderating it! I mentioned earlier that I made a quick trip to Chicago a few weeks ago for the annual convention of the International Reading Association to present along with three wonderful poets: J. Patrick Lewis, Marilyn Singer, and Jane Yolen. Our focus was on humorous poetry and we had such a good time together with a lovely audience. I also made some very short 30-second clips of each of them reading their poems aloud and would like to share them here. Here is J. Patrick Lewis reading one of his very clever parodies from Edgar Allan Poe’s Pie: Math Puzzlers in Classic Poems. Marilyn Singer read a clever St. Patrick's Day poem (from the dog's point of view) from her new book, Every Day's a Dog's Day. 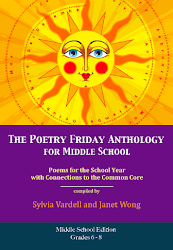 Jane Yolen shared several short poems from her collaborative book of "epitaph" poems with J. Patrick Lewis. Here's the epitaph for a frog. Jane's latest poetry collection is Bug Off! 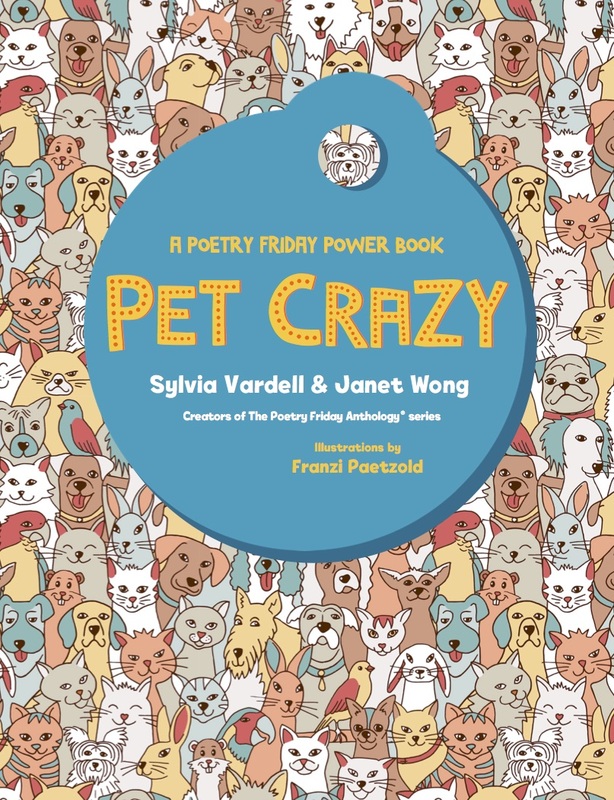 Creepy Crawly Poems and she shared a few from that new book, too. Also look for Jane's new article, “A Children’s Books Poetics” in the May/June issue of Horn Book magazine—where she offers poem tributes to 7 legends of the children’s literature world. That's just a tiny taste of our 3 hours of rhyme and repartee! 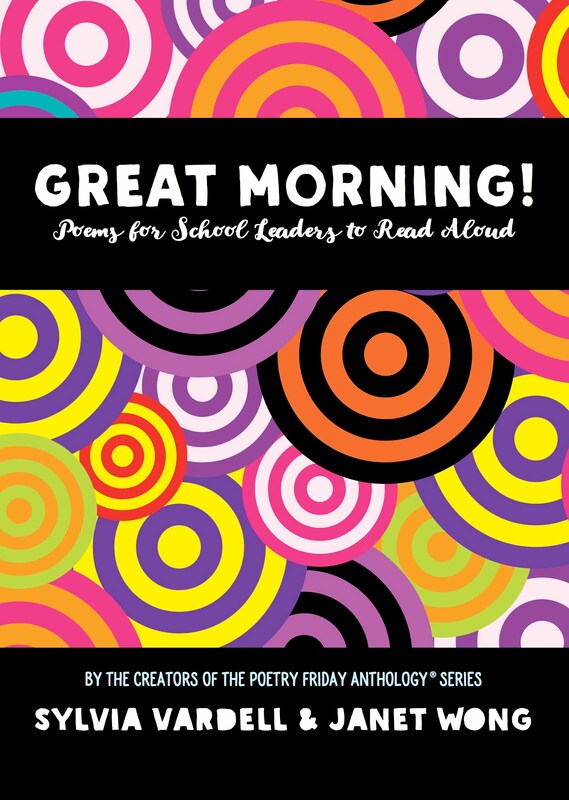 Our TLA Poetry Round Up ended with a new and unique component-- a teen! It's always a treat to include a young person on a panel about young people and their literature. This time, we were lucky to feature the recent winner of the Texas state-wide Poetry Out Loud competition, Krista Lambert. Krista Lambert is a high school Junior from Lufkin, Texas, who has been homeschooled since the 1st grade. Her interests include playing the violin, (she's made High School Regional Orchestra for the last 3 years), horseback riding (English style), reading, and creative writing. She's loved poetry since she was a small child and has competed in Poetry Out Loud for 3 years. She also loves drama and has participated in local plays for several years. This year, Krista became the Texas Poetry Out Loud champion and competed in the National Finals with teens from around the country May 13-15, in Washington, DC. What a great way to end the Round Up, right?! 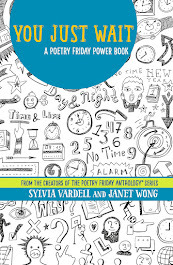 I was also so pleased to bring my friend and frequent collaborator, Janet Wong, to the TLA Poetry Round Up. She's always such a fun addition! Janet Wong was born in Los Angeles, the daughter of a Chinese father and Korean mother. She attended UCLA and earned a B.A. in History; studying abroad for a year in France. She went on to attend Yale and earn her law degree. She practiced corporate and labor law for several years, but realized she was not happy in her current line of work, and what she truly wanted to do was write for children. She studied under poetry mentor extraordinaire, Myra Cohn Livingston, worked hard, received many rejection letters, sold her first book of children’s poetry Good Luck Gold and has been a dynamo ever since. She’s been featured on Oprah, received the “International Reading Association's "Celebrate Literacy Award" and visited the White House, just to name a few. 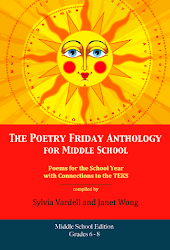 She has published at least two dozen works for young people, including the Poetry Tag Time series of e-books of poetry that I had the honor of collaborating with her on last year. 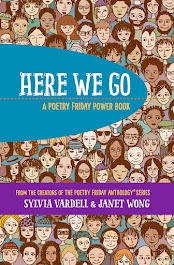 Her latest book, is the very timely, DECLARATION OF INTERDEPENDENCE: POEMS FOR AN ELECTION YEAR, with twenty poems about "liberty, kids’ rights, free speech, political debates, unusual presidential candidates, the two-party system, voting and more" all designed to encourage conversations with kids about our electoral process. Here Janet leads the audience in a group performance of her "theme" poem from the book, Declaration of Interdependence. Wong, Janet S. 1994. Good Luck Gold and Other Poems. McElderry. Wong, Janet S. 1996/2008. A Suitcase of Seaweed, and Other Poems. Booksurge. Wong, Janet S. 2000. Night Garden: Poems from the World of Dreams. McElderry. Another newcomer to the TLA Poetry Round Up was teacher, poet, and anthologist, Timothy McLaughlin. Tim is also the founding director of the Spoken Word Program at the Santa Fe Indian School. He has worked in Native communities since 1997, beginning at Red Cloud Indian School on the Pine Ridge reservation in South Dakota, then at Arlee High School on the Flathead Reservation in Montana and currently at the Santa Fe Indian School in New Mexico. He and his students have been featured in the New York Times, on the PBS News Hour, and in an HBO series about teen poetry. They have won numerous awards in state and national competitions. 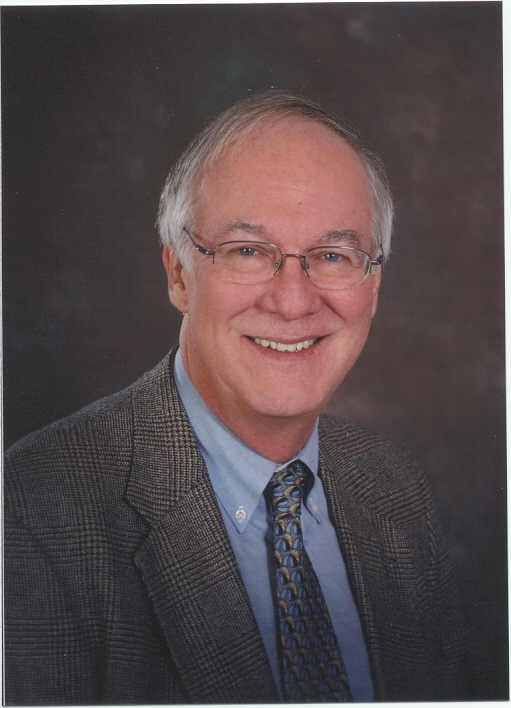 Originally from Washington DC, Tim lives in Santa Fe with his wife and daughter. His first published book is Walking on Earth & Touching the Sky: Poetry and Prose by Lakota Youth at Red Cloud Indian School and it features work by fifth, sixth, seventh, and eighth grades at Red Cloud Indian School on the Pine Ridge Indian Reservation in South Dakota. Kirkus Reviews describes it as "A moving, fascinating glimpse across cultures." Here he share insights about his Lakota students and how poetry is an organic part of Lakota language and culture. Our next TLA poet presenter was Guadalupe Garcia McCall whose first book for young people, Under the Mesquite, garnered several major kudos and awards last year. Guadalupe Garcia McCall was born in Piedras Negras, Coahuila, Mexico. Her family immigrated to the United States when she was six and she grew up in Eagle Pass, a small, border town in South Texas. After high school, she moved to West Texas to study to become a teacher and earned her BA in Theatre Arts and English from Sul Ross State University. She met her husband there and they now have three grown sons. Her poems for adults have appeared in more than a dozen literary journals and her first work for young people is the novel in verse, Under the Mesquite published late last Fall. And you might remember that it also happened to win the 2012 Pura Belpré Award. Not bad for a first book! Here she reads an excerpt from Under the Mesquite. Stasia Kehoe was next in our line up at the TLA conference. She's another of our "new" voices in poetry and it was a treat to get to know her and share her work with the audience. She grew up dancing and performing on stages from New Hampshire to Washington, DC. She attended Georgetown University in Washington, DC, and ended up with a BA in English. While in college, she studied playwriting, joined a modern dance company, and acted in and choreographed shows. After graduation, she worked at the Kennedy Center with their Theatre for Young People. She then earned a master's in Performance Studies from New York University's Tisch School of the Arts, married her college sweetheart, and got a job at Random House Children's Publishing. She was immersed in literature for young people and found a particular home in YA novels. She started writing full time in earnest, had 4 sons, moved to the Pacific Northwest, and voila, published her first book, the novel in verse, Audition, about a dancer—of course-- last October. -- Publisher's Weekly noted: "The author, who has a performing and choreography background, stages Sara's dance world clearly through her spare verse, from ballet moves and body aches to studio drama... readers will empathize as she struggles with everything from sore shins to whether she wants to continue dancing." Ellen Hopkins said: "Stasia Ward Kehoe's sinuous verse compellingly weaves this story of high level dance, scandalous romance and personal sacrifice." Stasia read an excerpt from Audition at TLA. Check it out! Stasia's publisher (Viking/Penguin) has generously donated several FREE COPIES of her novel in verse, AUDITION, to my lovely blog readers. So, post a comment below for a shot at a free book. What is your favorite novel in verse? More video nuggets from the 8th annual TLA Poetry Round Up. Next, Dana Jensen. You may remember that I reviewed his new book-- his first book for young readers, A Meal of the Stars, during April and he read from it at TLA. Dana Jensen both writes poetry and teaches it to children and has been involved in the Twin Cities' COMPAS Writers and Artists in the School's program for many years. It was fellow Minnesotan Joyce Sidman who connected him with her editor who worked with him on A Meal of the Stars, his first book for young readers. Booklist called A Meal of the Stars: "Imaginative and accessible, these verses show how the most ordinary of pleasures can pique a child's or a pair of friends' curiosity to explore the natural and urban worlds." Dana made his very first conference appearance ever with at TLA and it was lovely to meet him! Here he shares one poem from A Meal of the Stars. We were also lucky to include the Texas champion of the Poetry Out Loud competition, Krista Lambert, who completely WOW-ED us with her poise and power! Snippet to come. First off, the wry and clever Douglas Florian. Douglas Florian started his career by creating illustrations for newspapers and worked as a political illustrator and cartoonist before turning to children’s books. Florian says he was inspired to write poetry after he read a book of poems by William Cole called Oh, That’s Ridiculous. Two of Douglas's first books of poetry, Bing Bang Boing (Harcourt 1994) along with its companion volume, Laugheteria (Harcourt 1999) are both filled with rhythmic humorous poetry accompanied by odd and interesting pen and ink sketches-- crossing nearly all age levels. He has also created four poetry books that focus on the seasons of the year (Summersaults, Autumnblings, Winter Eyes, Handsprings). Dinothesaurus, about dinosaurs and their unusual names. He has not one, but two, new books out this year: Poem Runs; Baseball Poems and Paintings and Unbeelievables: Honeybee Poems and Paintings. As usual, he employs a wonderful variety of media, including watercolor, crayon, cut paper collage, and rubber stamps. This combination of materials creates layered, textured illustrations that children enjoy studying for every tiny detail. And the humor in his poems is pretty irresistible too. Here he is sharing from his new book, Unbeelievables, complete with audience participation. Enjoy! Florian, Douglas. 1994. Bing Bang Boing. Harcourt Brace. Florian, Douglas. 1998. Insectlopedia. Harcourt Brace. Florian, Douglas. 1999. Laugh-eteria. Harcourt Brace. Florian, Douglas. 2001. Bow Wow Meow Meow. Harcourt. Florian, Douglas. 2002. Summersaults. Greenwillow. Florian, Douglas. 2004. Omnibeasts. Harcourt. Florian, Douglas. 2005. Zoo’s Who. Harcourt. Florian, Douglas. 2006. Handsprings. Greenwillow. Florian, Douglas. 2007. Comets, stars, the moon, and mars. Harcourt. Florian, Douglas. 2009. Dinothesaurus. Simon & Schuster. Today I'm featuring a guest, poet David Harrison who has developed a new video series to help in teaching children the writing process. It sounds terrific. He shares the details below. When I visit classrooms I like to give students tips on how they can enjoy their own writing more and improve the results of their efforts. Over the years I’ve developed a number of these tips, all of which are based on methods that real writers really use. I’ve used the same techniques myself so I know they work. Some are tricks of the trade, some are common sense advice, but student writers benefit from all of them. When I became Drury University’s Poet Laureate, I began to consider worthwhile projects I could do that would fit my responsibilities. I decided to create video vignettes of me doing what I’ve been doing for more than 40 years when I visit classrooms. I began by making a list of five broad categories – how to get started, poetry, fiction, nonfiction, and how to rewrite. Under each of those headings I taped four presentations. For example, under Getting Started I talk about 1) finding ideas through association, 2) beginning with a single word, 3) the power of observation, and 4) reading to discover things to write about. I kept each episode brief (five minutes) so that busy teachers can display me on a Whiteboard while I present to their students the tip for the week and then follow up with reinforcing activities. The episodes are not sequential so a teacher can choose any topic that fits the current unit being taught. I’m finishing an accompanying Teacher’s Guide with Dr. Laurie Edmondson, Interim Director for Drury’s School of Education and Child Development. 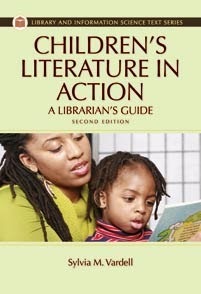 Each of the 20 Writing Tips featured in the DVDs is expanded for the teacher in the guide book. Laurie is providing classroom activities that teachers can use to complete the lesson. We also present what research says about each category, a home connection to help gain family support, and how each lesson ties into the Common Core State Standards. In addition to the 20 video sessions and the Teacher’s Guide, the kit includes a set of 20 Student Writing Journals and three of my trade books – one each of poetry, fiction, and nonfiction – that we use as examples to help students see exactly what I’m talking about on the videos. What began in my mind two years ago as a set of taped writing tips for students has evolved into this hands-on, interactive, creative writing program that can bring me into classrooms anywhere. The full kit, which is designed for use in grades 3-5 (but could be used in later grades if desired) will be available by late summer or early fall and will be priced at $499. 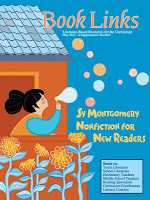 The publisher is Phoenix Learning Resources. Sales will be handled through Stourbridge Distributors. You can contact them at www.stourbridgedist.com. Further, Laurie is going to teach an online course for graduate credit based on LET’S WRITE THIS WEEK WITH DAVID HARRISON. Those who are interested in signing up for the course or learning more about it can contact Laurie directly at ledmondson@drury.edu . Although April is over and we're almost halfway through May, I'm catching up on loose ends now that my semester is almost done. Phew! As I examined the “Outstanding Science Trade Books” lists since 2001, I was pleased to see 24 works of poetry on the combined lists, with an average of 2 poetry titles per year. Nature poems dominate the selections with a focus on animals, including birds, bees, and insects. 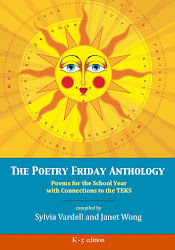 Earth ecosystems, the ocean, and trees, in particular, are also featured in the highlighted poetry books. You’ll also note that Joyce Sidman is frequently recognized for her beautiful science-themed poetry. 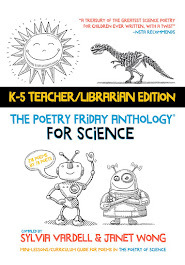 The article includes a list of all 24 poetry titles and discusses which science standards are most often represented. Today I have the honor of presenting a poetry symposium at the annual convention of the International Reading Association in Chicago-- along with J. Patrick Lewis, Marilyn Singer, and Jane Yolen. (Thanks to Lili DeSisto and Charlesbridge Publishing for their support in making this happen.) Here's the lowdown. In our session entitled, "Using Humor to Engage Students in Poetry," we are discussing the use of humor and constructing humorous poems to introduce students to this often intimidating form of writing. 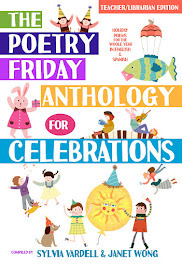 Using a bibliography of humorous poetry, we hope to illustrate how a poem can tickle a child's funny bone, and lead to an interest in poetry, reading, and writing in general. We address the different kinds of humor one can find in poetry such as slapstick, puns, limericks, etc. 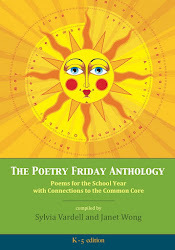 Handouts with lists and activities that educators could use with students (such as poetry performance, which was also demonstrated during the session) and sample poems were provided. What is your favorite kind of humor? In life or in poetry! What are some of your favorite funny poems? Or funny poets? When did you start writing funny things or what inspired you to write humor? Do you have favorite funny forms or topics you like to explore? Is it easier or harder to write funny poetry (than “serious” poetry)? Why/how? When you’re writing, do you plan for humor or does it catch you by surprise? Which happens when? Have kids ever surprised you with their reactions to a humorous poem? Or laughing at a serious poem? Care to share any funny stories of unexpected kid responses? Plus, I shared a dozen or more sample poems and invited the audience to join in performing. I hope to be able to share some video snippets from this session at a later date, as well as videos from the Poetry Olio featuring several different poets reading from their works. More on that soon. Meanwhile, here's one humorous poem to tide you over. It's from Jack Prelutsky's new book out this year, I’ve Lost My Hippopotamus. Each note is a surprise. When it plunges into song. When my stomach starts to sing. From: Prelutsky, Jack. 2012. I’ve Lost My Hippopotamus. Ill. by Jackie Urbanovic. New York: Greenwillow, p. 123. Now, try singing this poem to the tune of “99 Bottles of Pop." Be sure to end the last line with exaggerated slowness. Pretty hilarious, right? Jack is quite a musician and many of his poems work perfectly set to music. Try it, you'll see!